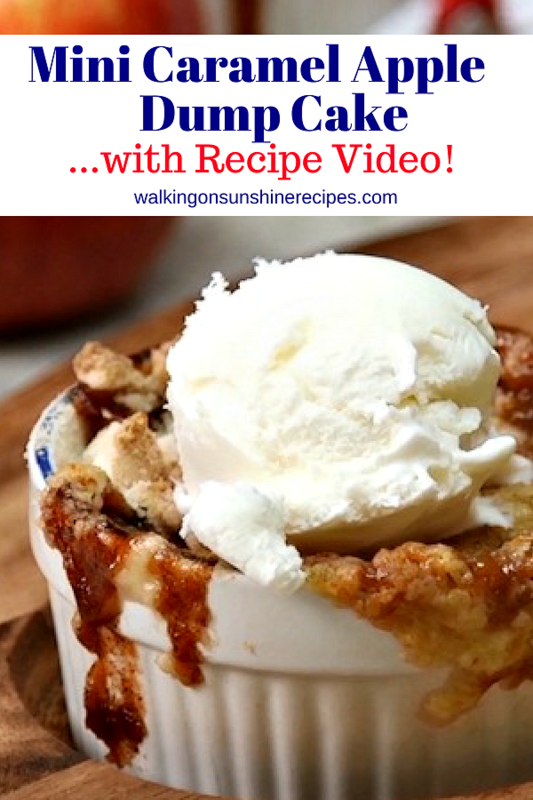 Caramel Apple Dump Cake is the perfect individual serving of warm apples topped with a crumb topping to serve to your family and friends. 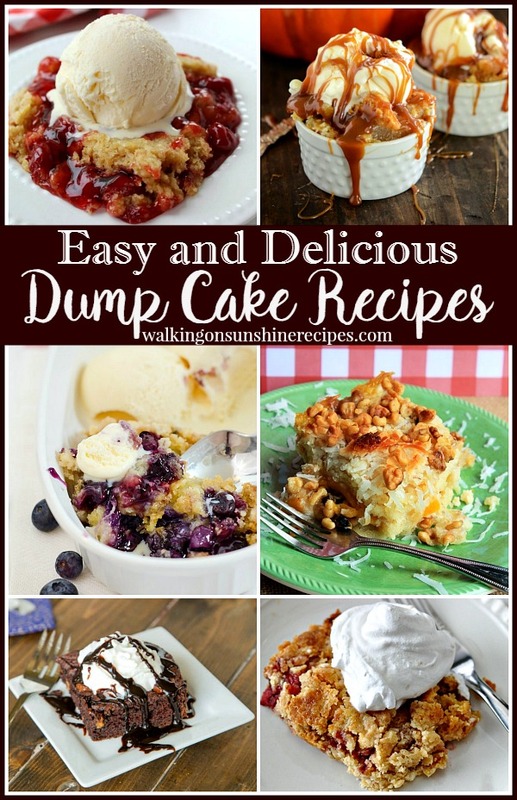 If you’ve been a follower of my blog for awhile, you’ll know that I enjoy easy recipes…especially easy desserts. Today’s recipe is just that…easy! 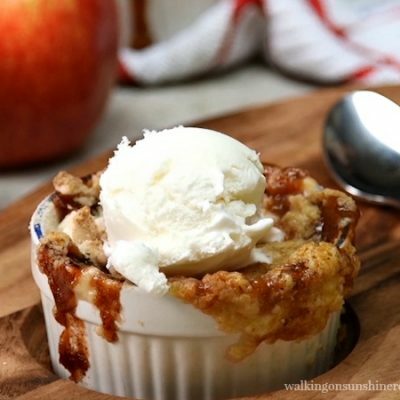 And it’s perfect to get us all in the mood for Fall with this Caramel Apple Dump Cake Recipe. 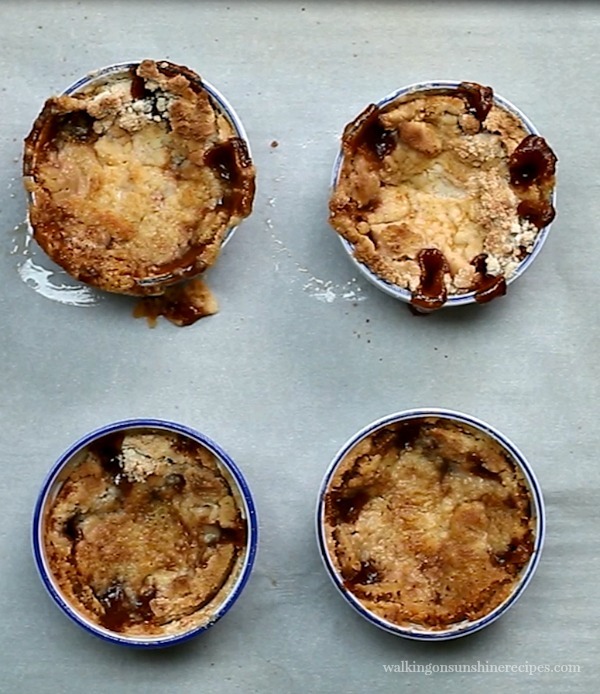 What’s really nice about this recipe is that you make it in individual ramekins. 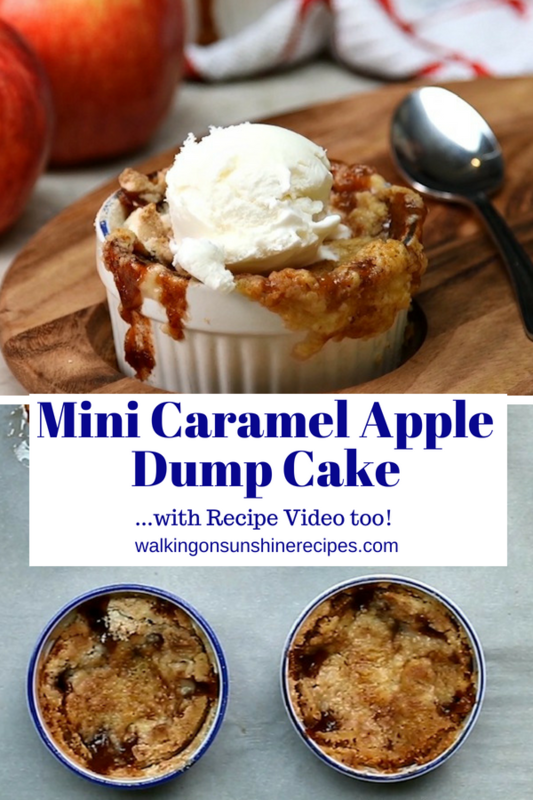 How cute does this mini caramel apple dump cake desserts look? Oh, and did I tell you there was a video to go with this recipe? That’s right, make sure you play it so you can see how really easy the recipe is. Whether making this for guests or just your family at home, everyone is going to love this dessert. Especially if you top them with freshly made whipped cream or vanilla ice cream. Oh my, how delicious does that sound? The recipe comes together really quick too! 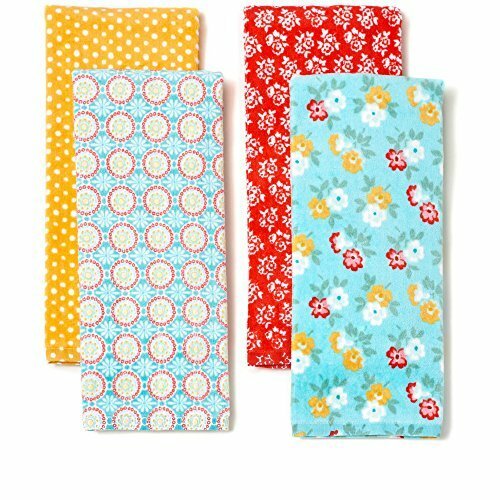 In 10 minutes you can have the individual cakes ready to go in the oven. If you’re making this for company, I would prepare them ahead of time and put them in the oven while you sit down to eat the main meal…can you imagine the amazing smell that will fill your house? Your guests won’t be able to wait for dessert! Caramel Bits – they come unwrapped to make it easy for baking. 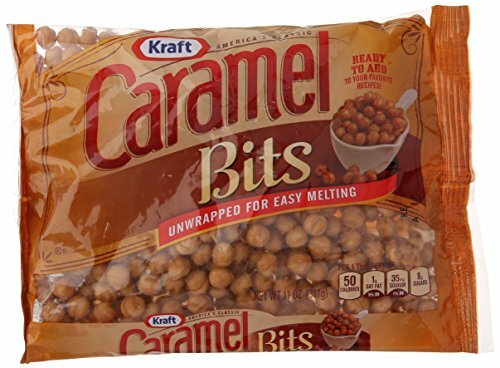 The recipe calls for Caramel Bits which you can find on Amazon if your local grocery store doesn’t carry them. You can also use caramel candies…which is what this is…only the pieces aren’t wrapped. So it’s a bit easier for you. 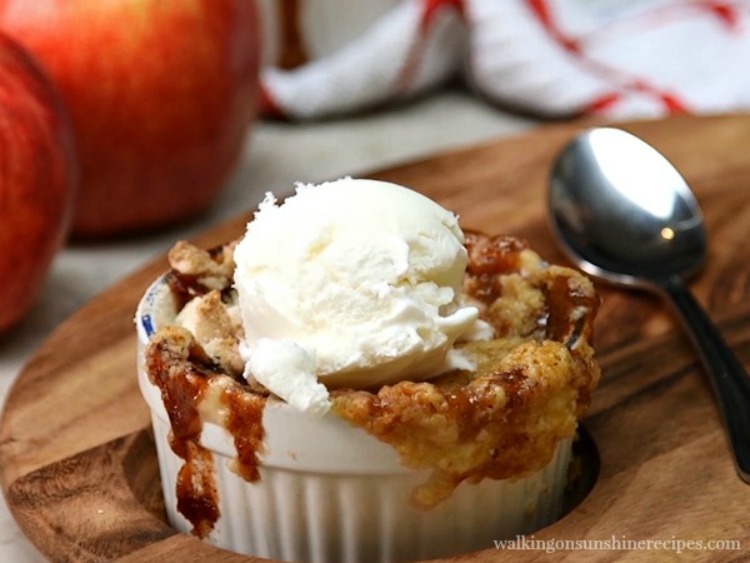 I also used these ramekins to make the Caramel Apple Dump Cake. 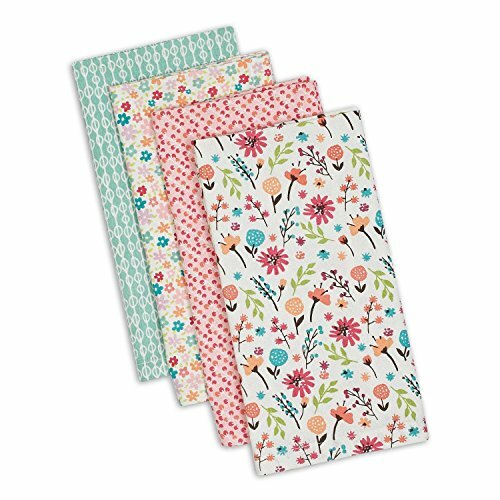 They’re available on Amazon or you can find something similar at your local super-store. I like Amazon because of the shipping and you can usually get things delivered in a day or two. If you have any type of ad-bloc software enabled on your computer, you will not be able to view the video. You would never guess that these elegant ramekins of caramel and apple are so easy to make, but it really is just as effortless as putting (okay – dumping) all your ingredients together in a bowl. Preheat oven to 350°F. 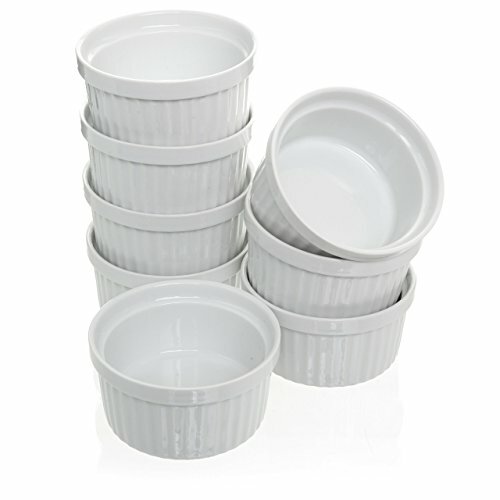 Grease the inside of ramekins or single serving baking dishes and set aside. In a medium sized bowl, mix together apple pie filling, cinnamon and nutmeg. Sprinkle with caramel bits and top with yellow cake mix. Smooth cake mix into an even layer. 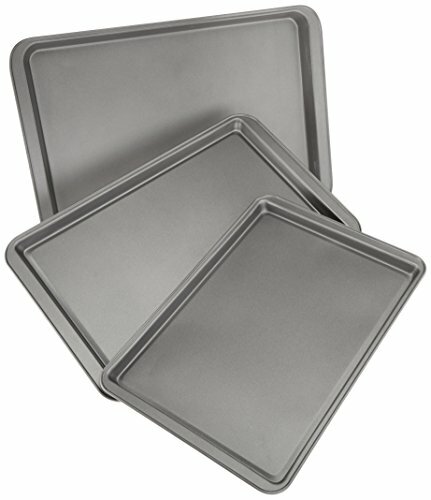 Cut butter into thin slices and layer a slice in each ramekin on top of the cake mix. Let cool slightly before serving with a scoop of ice cream or freshly made whipped cream. How delicious do these look? They’re waiting for the whipped cream or vanilla ice cream! This looks like a perfect fall dessert to quickly prepare for company. Thanks for sharing the recipe on Share Your Style. You ever share important stuff, i love all your post. This is fantastic, a delicious, EASY dessert for anytime. 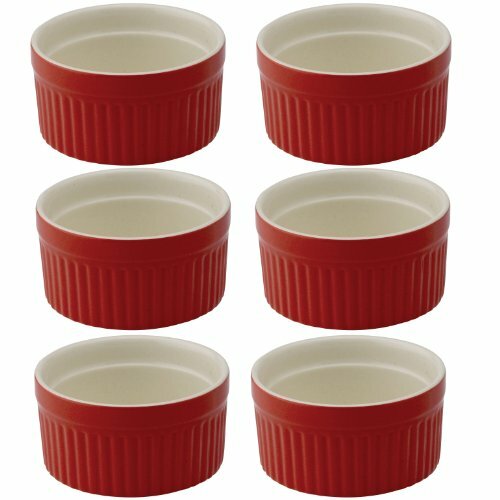 Love using individual ramekins. Thanks for sharing your delicious recipe. Pinning/sharing. Looks so yummy and pretty easy to make! Thank you for sharing on Merry Monday! Hope to see ya next week!